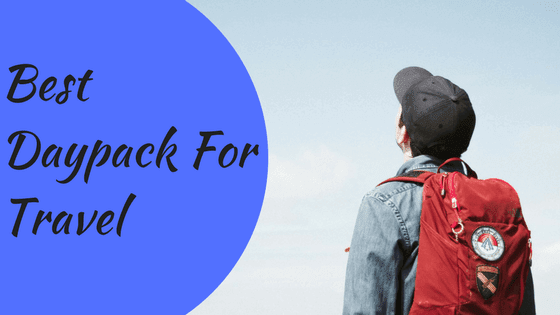 All daypacks are backpack but all backpacks are not daypacks, generally, if you are searching for "best daypack for travel" means you want a bag which is small in size yet spacious with a capacity of up to 40-liters and with many compartments and pockets where you can keep your essentials. Additionally, on my list, some of them also have "hydration bladder" which is very useful when you are traveling. Space Capacity - The space capacity ranges between 20 - 40 liters. Weather/Water Resistant - All of them are water/weatherproof made from weather resistant nylon fabric. Price Range - Price range is very affordable ranging between $48.75 - $15.99 and varies as per space capacity. Comfortability - Most of them are ultra lightweight, less than half a pound (0.4 pounds) and there is plentiful sponge padding in straps which makes them easy to carry and comfortable. Packable - All the daypacks are foldable. 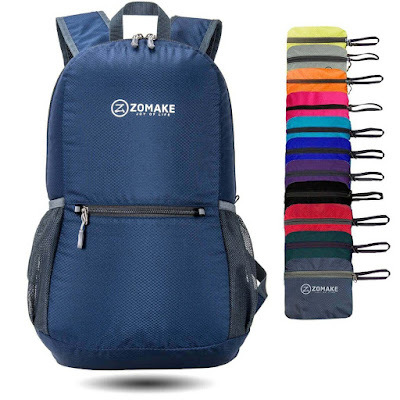 If you are looking for an all in one daypack for travel this is a perfect choice, which has 20 liters space and very light in weight(2.45 pounds), it is not the lightest but still easy to carry, it has comfort-taped straps with high density notched foam which means you can wear this daypack for hours. You definitely need a lot of pockets when you are traveling, TETON has lots of large pockets and hidden-teeth zippers where you can keep your essentials with you, thanks to his weather guard which protects your gear, lunch, clothes and other stuff. His "T" air flow channel allows air to circulate which keeps you cooler throughout the entire journey. Most amazingly it has a 3-liter hydration bladder with kink-free sip tube, means you don't have to keep your bottle in your hand to drink water it's totally hands-free. If more space and comfort is your priority you must go for Diamond candy daypack, it has 40- liters capacity which covers 2 front pocket, 2 side mesh pocket, 1 laptop and 1 main compartment. Not only this but it also has front, upper, bottom zipper pocket and a rain cover at the bottom which is more than enough. You can also connect several tools like Hiking sticks, Camping equipment, Sleeping bags, Tents, Cups etc. in the given attachments. It's an another spacious and comfortable daypack which has 40- liters capacity which includes 8 pockets and 2 compartments for easy any convenient sorting of your gear, with mission peak gear here comes RAMS system for maximum airflow to your back to reduce sweat. 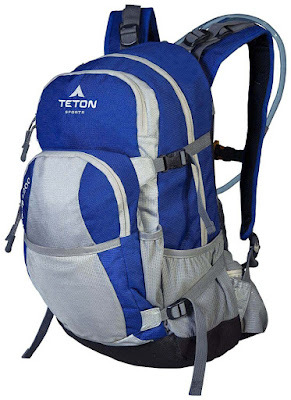 You can also add a hydration bladder of up to 2- liters which are not included in this like TETON sports oasis but in capacity, it is way better than TETON. 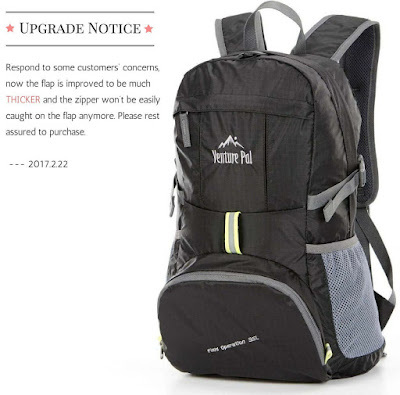 Venture pal daypack comes with a capacity of 35-liters and is very lightweight(0.7 pounds) which makes it unique, it has 1 main compartment, 2 front and side zipped pockets, what here you will miss is the hydration bladder that's why the price is little less, but no doubt in this reasonable price you will get at least better quality, high capacity, lightweight, compact(can be easily folded). 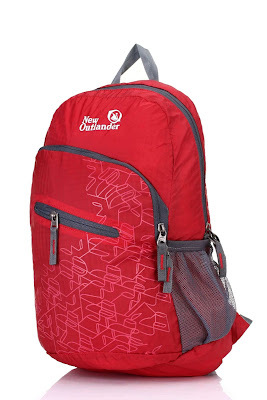 As the name suggests this Daypack is less than 0.4 pounds which are next to nothing, it also provides you a generous storage capacity of 35- liters with 1 main compartment 1 front and internal zipper pocket and 2 open mesh side pockets that work well for a water bottle or umbrella. 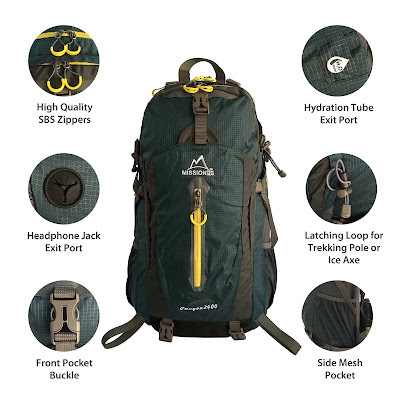 This is another one of the top rated product which is very lightweight (0.5 pounds) and has a huge capacity of 33- liters, this is one of the affordable daypacks unlike TETON, Diamond candy, Mission peak and because of this you won't find a hydration bladder in it. 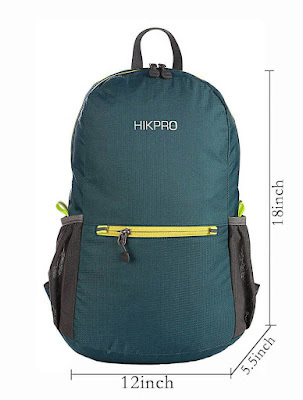 Unlike many other huge capacity daypacks Hikpro has 20- liters capacity but with lots of compartments like 3 zippered compartments, 1 main compartment to place bulkier items, 1 outer smaller pocket, 1 inner zippered pocket and 2 large sides mesh pockets, even with this medium capacity you can organize your travel items well. 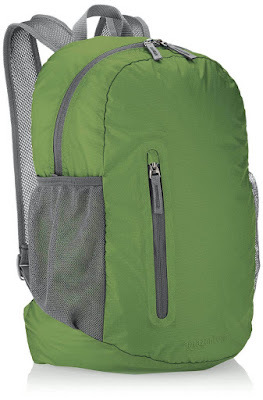 Another great thing about this is, like some other lightweight daypacks (Amazon basic ultralight, new Outlander) it is also just 0.4 pounds in weight and easy to carry. 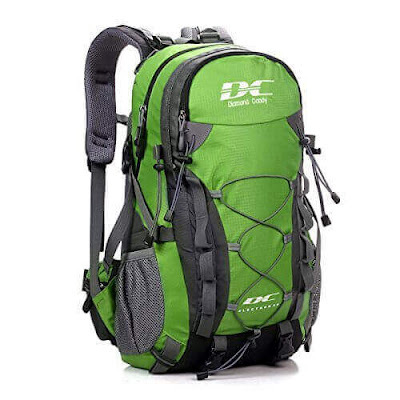 It is a medium size daypack with a weight of just 0.45 pounds and a capacity of 20 liters. This multi-purpose Daypack can be used in Day trips, Vacation, Day hikes, school, camping and is a great gift for everyone. Made with high-quality water and tear resistant nylon material which keeps it durable for a long time, stress points are reinforced with bar tacking for increased longevity. Which one you like the most? Tell us in the comments below, your suggestions are very valuable for us.